Osteoarthritis (OA) is the most common type of arthritis, affecting nearly 27 million adults in the United States. Scanning a list of symptoms associated with osteoarthritis can give you a sense of what your diagnosis may mean for you, but digging into how those symptoms may affect your daily life can paint a more detailed picture of what an osteoarthritis diagnosis may mean for you. With OA, your affected joints are painful. Most people describe OA pain as achy. However, the nature of pain is dependent on the extent of joint damage a person has. Osteoarthritis pain is not the same for every person, nor does any individual experience pain exactly the same every day. Pain develops as cartilage wears away in the arthritic joint, leaving the underlying bone vulnerable to damage. Cartilage usually provides a slick and smooth surface that the bones of the joint can easily glide over. It also provides shock absorption. Losing cartilage results in a rough surface and even bone-on-bone contact. 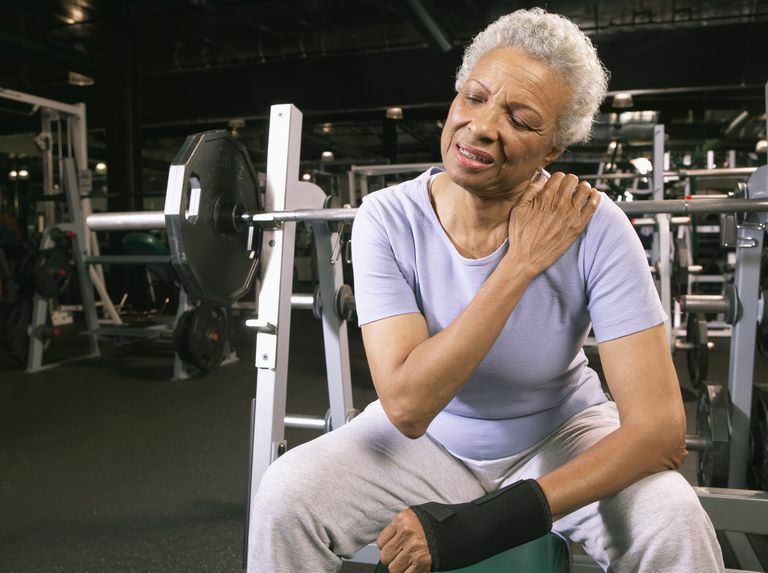 In early stages of the disease, joints may ache after physical work or activity and pain may be relieved with rest. Affected joints are typically stiff, making it hard to move them through their normal range of motion. This is especially common after waking up in the morning or staying in one position for an extended period of time. As the disease progresses, joint pain and joint stiffness become more persistent. There can also be swelling in one or more joints, in which case joints may be tender to touch. Another characteristic of OA is crepitus, a crunching feeling or grating, which includes the sound of bone rubbing on bone. It is also not uncommon for joints affected by OA to "lock" to the point that you will be unable to move the joint. Treatment of arthritis joint pain usually includes exercise. Your doctor may recommend appropriate strengthening, range-of-motion, aerobic, and balance/agility exercises. Non-drug treatments, such as heat and cold and transcutaneous electrical stimulation, may be recommended as well. Medications may be recommended or prescribed, including over-the-counter pain relievers and NSAIDs. For some joints, corticosteroids may be prescribed or surgery may be recommended. With osteoarthritis, pain and stiffness are usually limited to the affected joints. The joints most commonly affected by osteoarthritis are those at the ends of the fingers, thumbs, neck, lower back, knees, and hips. If you feel warmth or your skin appears red around a joint, that is an indication of inflammation. You may instead have rheumatoid arthritis or another kind of inflammatory arthritis. Fever, flu-like symptoms, and malaise typically accompany inflammatory types of arthritis and are generally not experienced with osteoarthritis. Osteoarthritis is the most common type of arthritis. Left untreated, OA can be debilitating and cause disability. But pain and stiffness can be managed early on with various therapies. These therapies can help you to maintain mobility and remain active. While OA can affect many aspects of your life, there is a lot you can do to reduce pain and the potential for complications. Primer of the Rheumatic Diseases. Published by the Arthritis Foundation. Thirteenth edition.